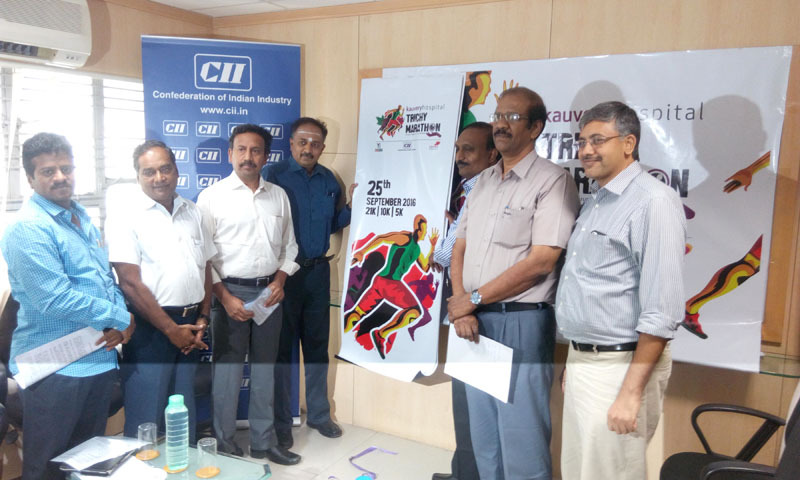 Trichy Marathon (TM) is now a four-year old event which started in September 2015 in Trichy. 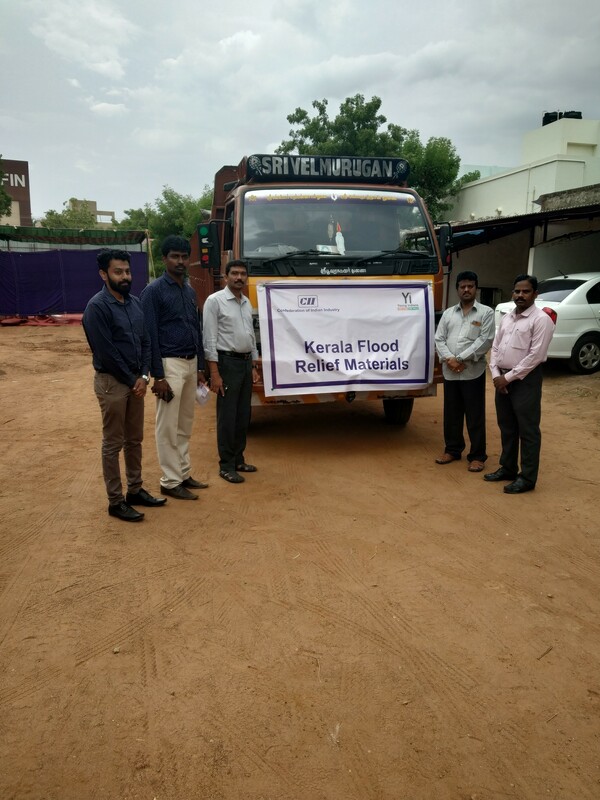 The association between CII, Yi and Kauvery Hospital proved to be a successful combination in all three years and ensured the same this year also . 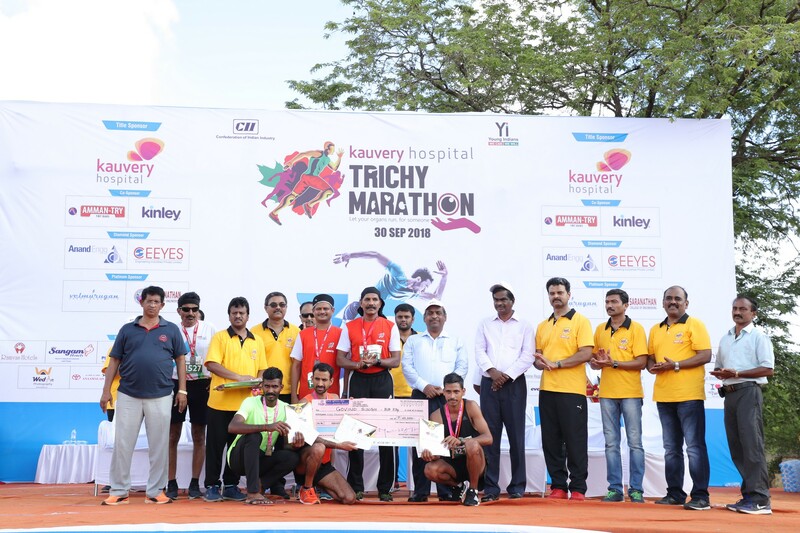 Trichy Marathon 2018 happened today is a grand success with more than 12,000 runners participated. This Marathon had three categories –Half Marathon(21Km), 10Km and 5Km. Dr C Sylendra Babu, IPS, Addl. Director General of Police, Railway police, Tamilnadu participated in 21 Km and ran along with the participants. The valedictory function at the Anna Stadium was presided by Mr K Rajamani, IAS, District Collector, Tiruchirappalli, Dr C Sylendra Babu, IPS, Addl. Director General of Police, Railway Police, Tamilnadu, Mr N Ravichandran, Special officer & Corporation Commissioner, Trichy City. As declared earlier, prize money Rs 2,50,000 is increased to Rs 3,28,000 and given to the winners of 21KM and 10 Km category by Cheque and 5Km which had more than 8000 participants is categorized as Fun Run as informed earlier. All the participants(21Km, 10Km & 5Km) were provided with T shirts, Bib numbers, Race guide, Bag and Breakfast. Timing chips were given to all the participants of 21Km and 10Km. Participants who completed their run were awarded with medals. As a part of GAO, Yi Trichy Chapter organised a Blood Camp for the employee of Pothys Silks & Readymades, Trichy. Around 80 donors took part in this camp and 80 units of blood were handed over to Mahathma Gandhi Government Hospital, Trichy. As a part of YUVA, Yi Trichy Chapter organised a Session on "Life, Career & Dreams' with Mr Sivakumar Palaniappan, Founder & CEO, Thinkfluence Global. We planned this session in two venues to cover all the YUVA colleges. Morning we had the sesison at Roever Group of Institutions and in the afternoon we had in Bishop Heber College. This session was well received by the students and made them to think on their current position and what they can do for their bright future. As a part of YUVA, Yi Trichy Chapter exchanged MOU with Bishop Heber College, Trichy. Total of 61 students were enrolled and paid. 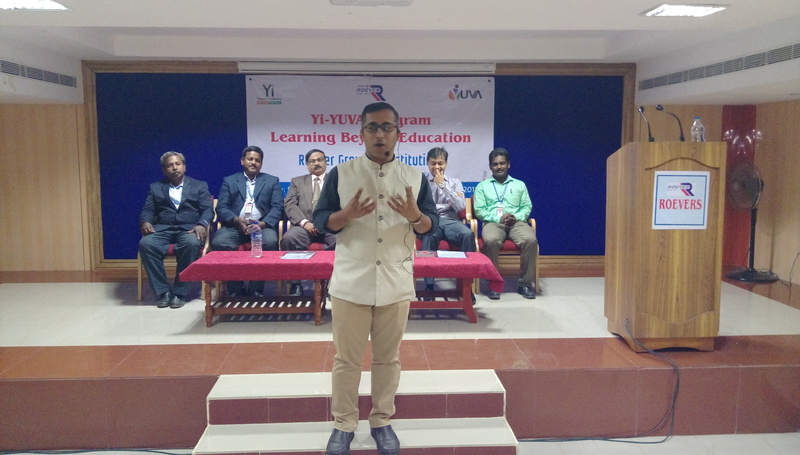 This session had Mr N Ratnakumar, Chair, Yi Trichy Chapter, Mr Keten J Vora, Chair-YUVA, Yi Trichy Chapter and Dr Paul Dhayabaran, Principal, Bishop Heber College. 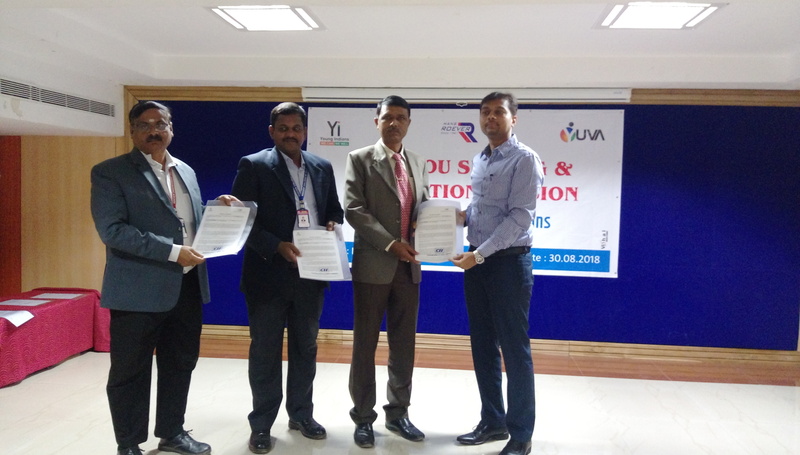 As a part of YUVA, Yi Trichy Chapter exchanged MOU with Roever Group of Institutions. Total of 101 students were enrolled and paid. 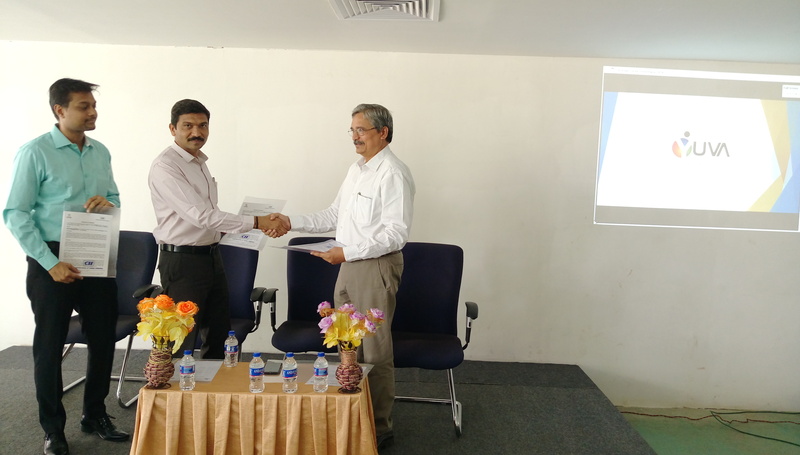 This session had Mr Keten J Vora, Chair-YUVA, Yi Trichy Chapter and Dr Ganesh Babu, Principal, REC, Mr Ananth J, Principal, RCET during the MOU exchange. 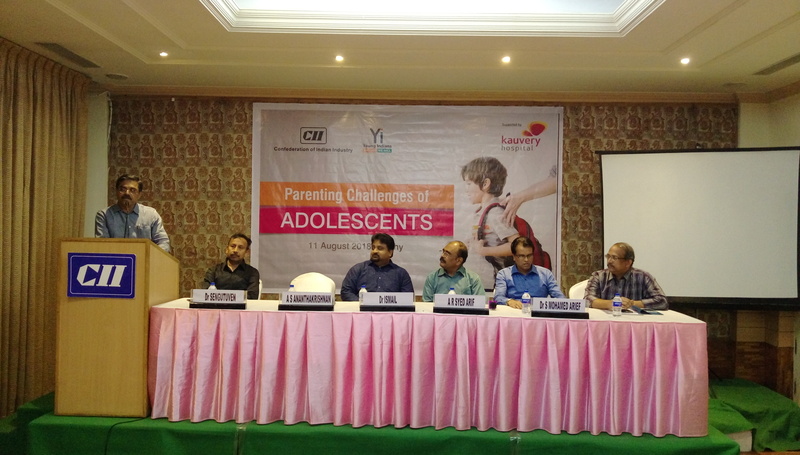 As a part of Learning and Membership Engagement, CII Trichy Zone & Yi Trichy Chapter organised a Session on Parenting Challenges of Adolescents for the members of CII & Yi. 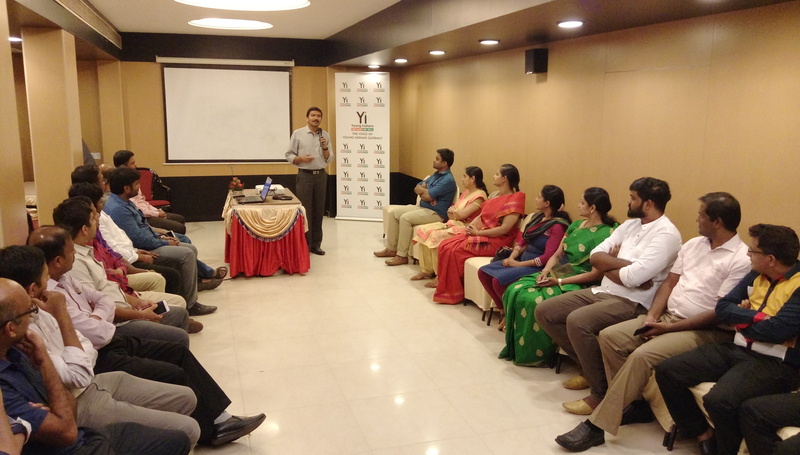 Dr Ismail, Managing Director, SMYL Hospital, Mettupalayam was the subject expert for the session. It was an well received session among our members and had lot of learning's. 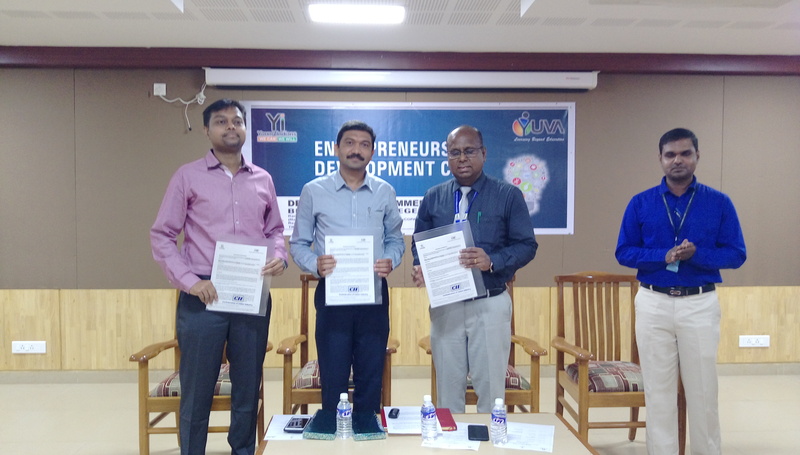 As a part of YUVA, Yi Trichy Chapter exchanged MOU with CARE Group of Institutions. Total of 53 students were enrolled and paid. 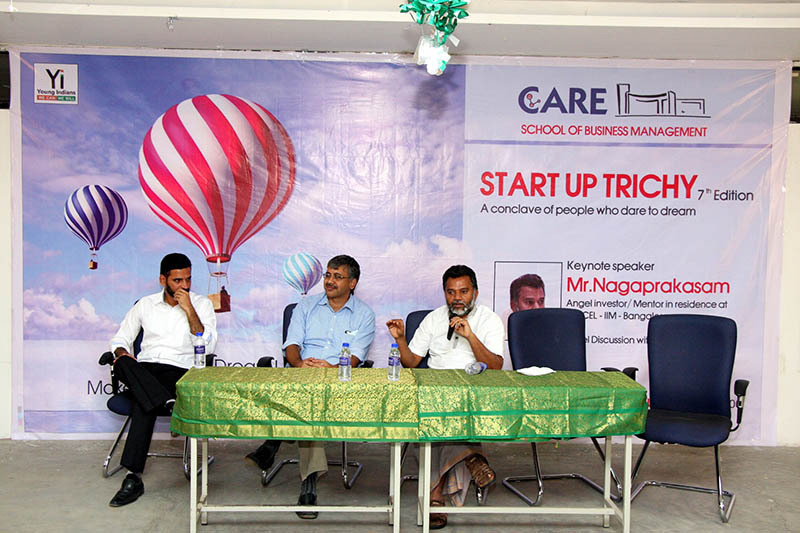 This session had Mr N Ratnakumar, Chair, Yi Trichy Chapter, Mr Keten J Vora, Chair-YUVA, Yi Trichy Chapter and Dr Meikandan, Director, CARE Group of Institutions. As a part of Gift an Organ vertical, Yi Trichy Chapter organised a awareness session at Anna University, Trichy on 02 August 2018. This session was handled by Mr Sureshkumar, Chair, GAO Vertical and Mr Ketan J Vora, Chair, YUVA Vertical. NSS volunteers of Anna University were gathered and sensitised about Organ Donation and its myths associated with it. These NSS Volunteers will take this cause across the University students. 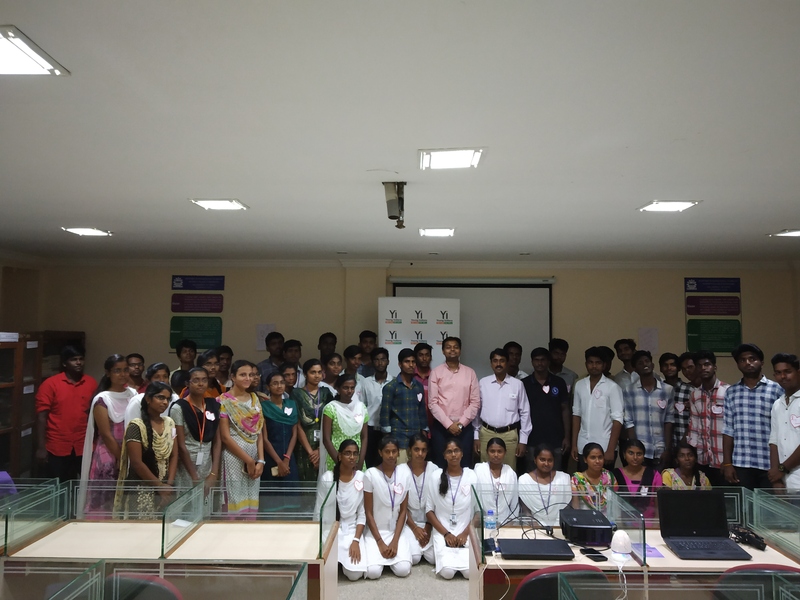 As a part of YUVA, Yi Trichy Chapter organised a learning mission for the YUVA students of MASTeR Group of Institutions to AMMAN TRY Steels Pvt Ltd, Trichy on 27 July 2018. Total of 60 YUVA students took part in this session and explored the process of TMT Bars manufacturing. They also went to their R&D Department to witness their testing process for the quality of the bars. This visit was guieded by Mr Ibrahim, Quality Control manger, AMMAN TRY. 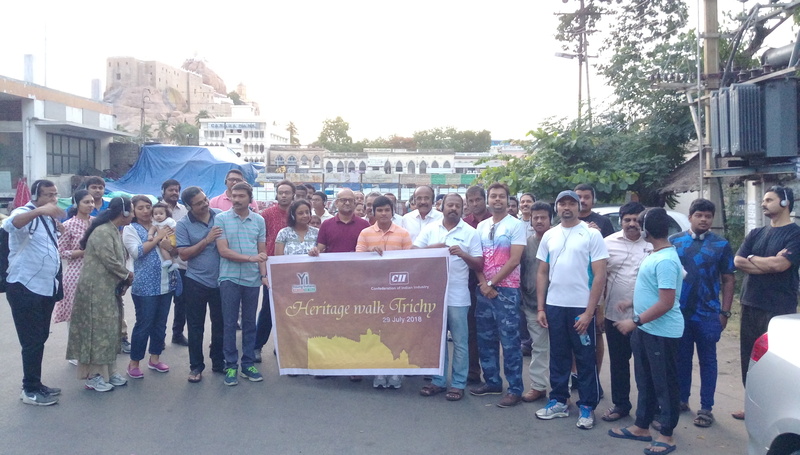 As a part of Membership Engagement, Confederation of Indian Industry and Yi Trichy Chapter organised a Heritage Walk on 29 July 2018 to witness the archaeological and cultural specialties of Trichy. 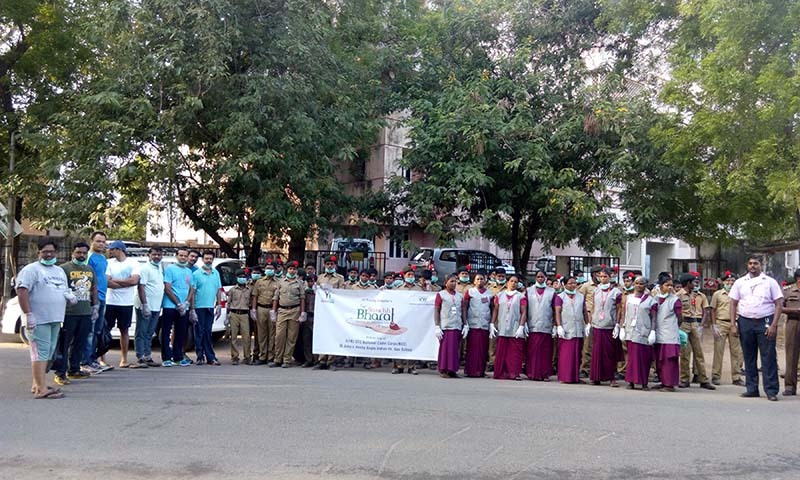 As part of the walk, which kick-started before the crack of dawn, the participants were taken to select heritage and iconic spots in and around the vicinity of the iconic Rockfort area and explained about its rich background by V. Sriram, who had organised Heritage Walks across Tamil Nadu. The participants were taken to the Main Guard gate, the Rani Mangammal Palace where the Government Museum has been housed. Subsequently, they climbed up to the famed Rockfort Thayumanaswamy shrine, and visited the Pallava cave. They also went to Schwartz House and Clive's Hostel. Each participant was provided with a headphone to hear the unheard historical information provided by Mr. Sriram after stopping at the designated heritage spots during the course of the walk. 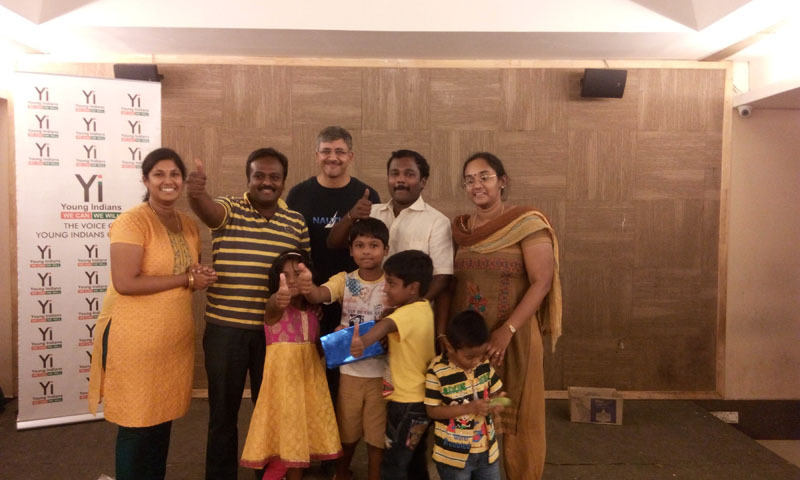 The unique multi-cultural aspect of Tiruchi was also driven home by Mr. Sriram to the participants. It was indeed an enriching experience for all the participants who were elated to know the heritage and culture of Trichy. 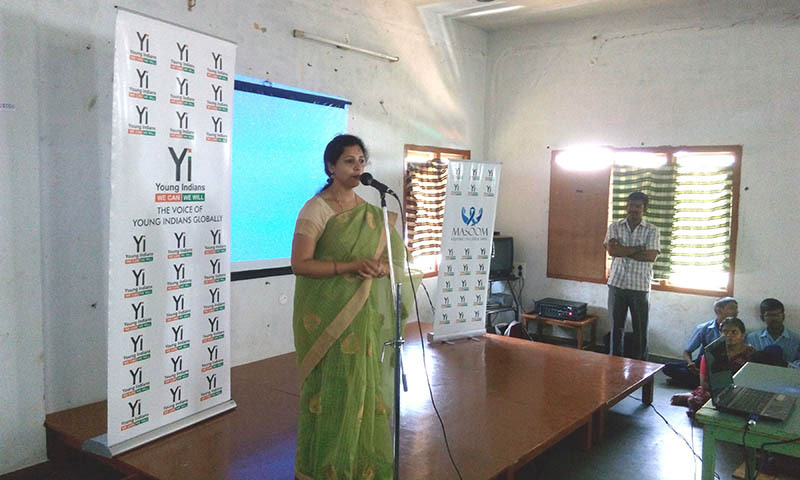 As a part of YUVA, Yi Trichy Chapter organised a CEO Connect Session on topic "The Incredible Journey with Ms Patricia Narayan – Director, Sandeepha Chain of Restaurant" at Holy Cross College. Ms Particia shared his real time experience which made the students to think of their potential and confidence.She spoke a lot about the Dreamers and Doers and also motivated the students to come out from the fear of failure.This session had around 400 students at the hall and over 1000 students in the open arena with LED display of her speech. 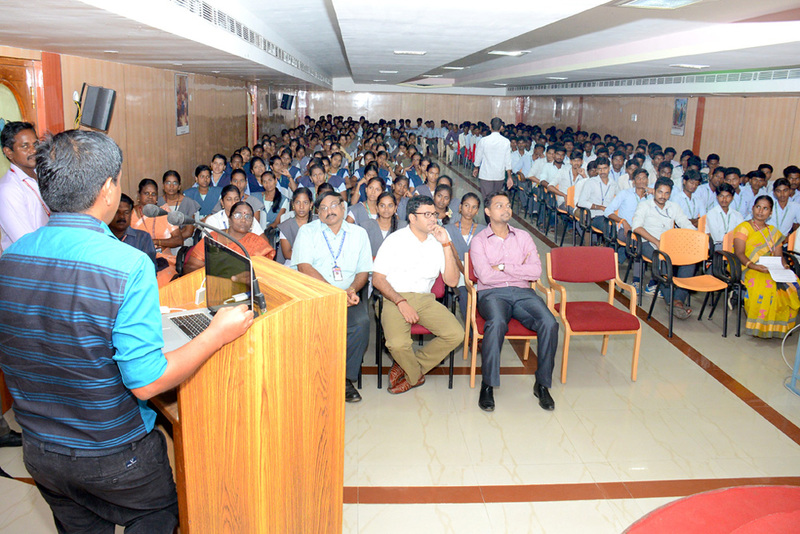 As a part of YUVA, Yi Trichy Chapter launched YUVA at MASTeR Group of Institutions. 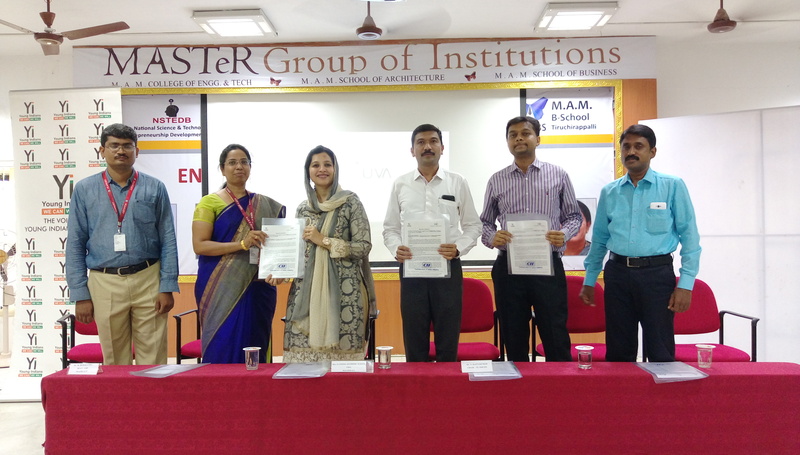 MOU was signed and exchanged between MrN Ratnakumar, Chair, Yi Trichy Chapter, Mr Keten J Vora, Chair, YUVA-Yi Trichy Chapter and Ms Fathima Bathool Maluk, Secretary & CEO, MASTeR Group of Institutions. This event had a participation of 500 students and the enrollment of interested students in YUVA will be over by this week. 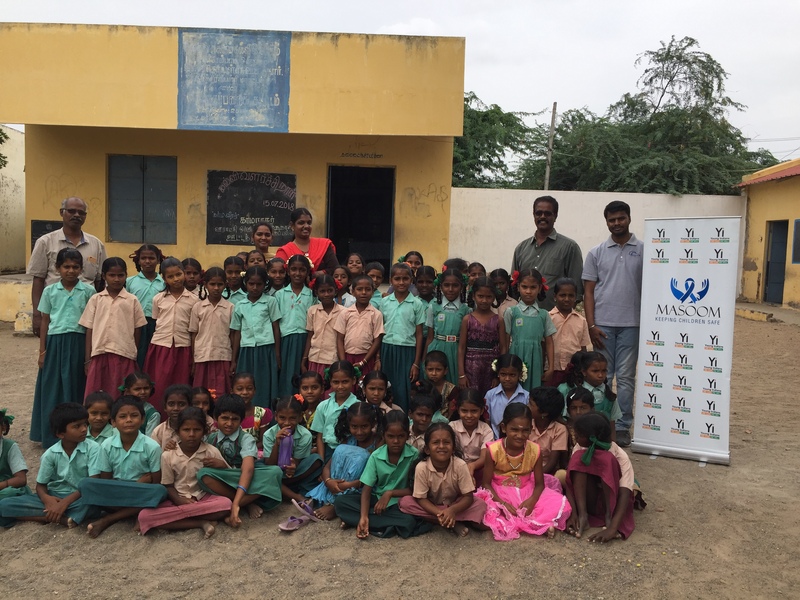 As a part of Project Masoom, Yi Trichy organised its first Masoom Session on Good Touch & Bad Touch at a Rural Primary School near Pullampadi, Perambalur District. The session started with the ice breaker games with the kids, followed by the brief on Good touch and bad touch. Video on komal was also played and kids were made familiarise with the Childline contact number 1098 to safeguard them. As a part of GAO vertical, Yi Trichy Chapter organised a Phase I Blood Donation Camp at Velmurugan Heavy Engineering Industries, Sengipatti on 21 July 2018. Donors from the surrounding industries took part in this camp. Team from Trichy Government Hospital supported us in this camp and the donated blood units were given to them. 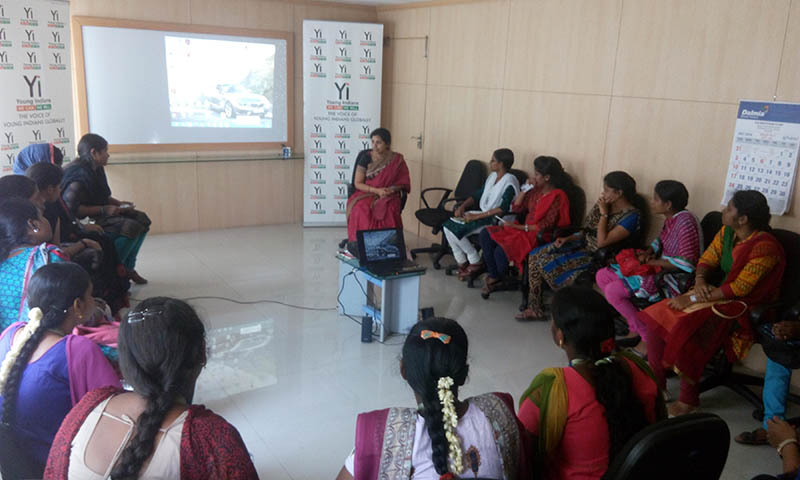 As a part of Project Masoom, Yi Trichy Chapter organised a Training a Trainers session for the volunteers from MST Solutions Pvt Ltd. These volunteers where briefed on Do's and Dont's of Project Masoom, also they were provided with required materials and videos to handle the session. 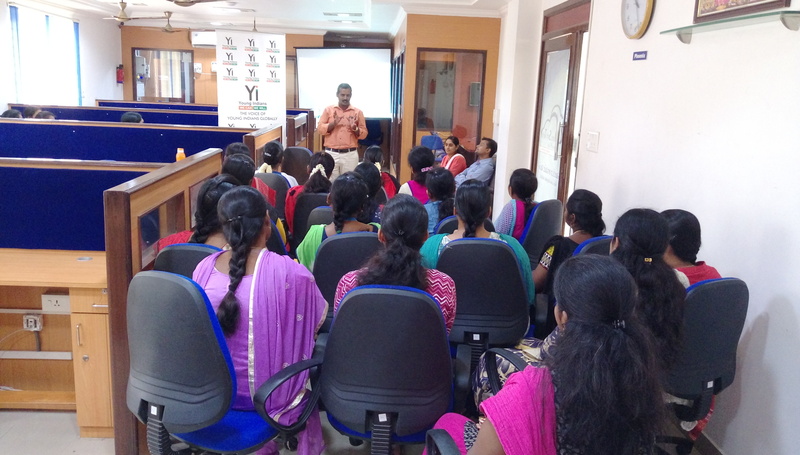 We also had Mr Thiyagrajan, Childline, Trichy, who shared few real time incidents and solutions. These volunteers did a Mock session at the end of the workshop. 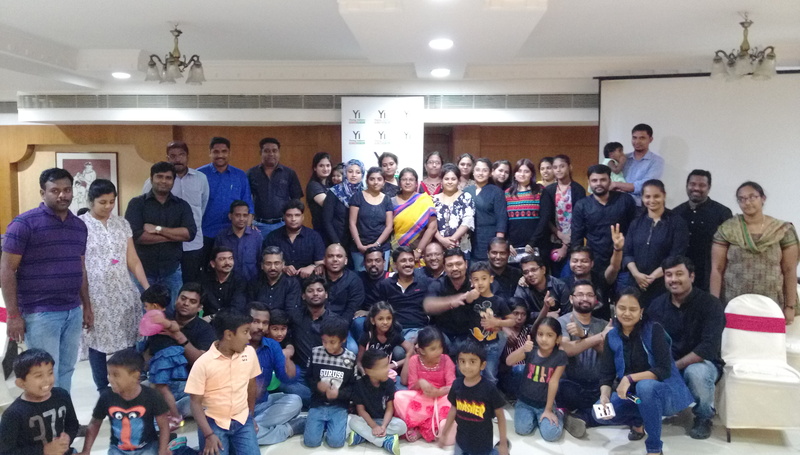 As a part of Membership Engagement, Yi Trichy Chapter organised the Family meet for its members and family's on 29 June 2018 at Ramyas Hotels. This event had separate activities for Kids and members with a dress color code of Denim and Black. Members were also worked on the verticals of Yi and came out with a skit or spoof of it. 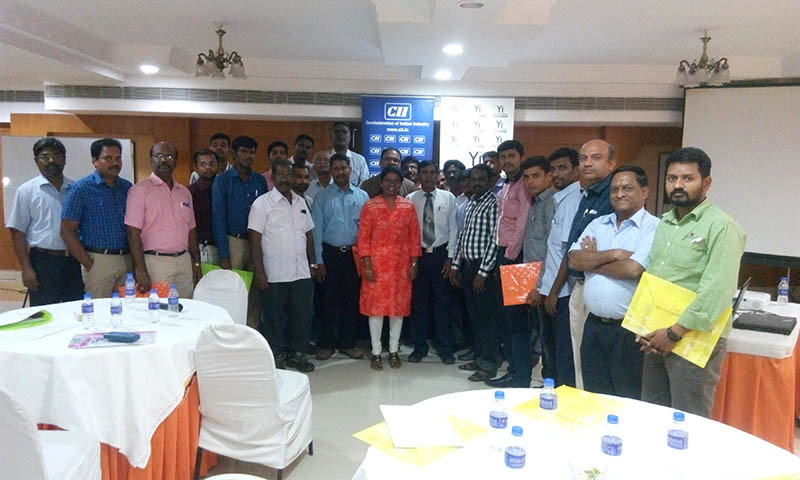 As a part of learning, Yi Trichy Chapter and CII Trichy Zone organised a One Day Workshop on Self Analysis and Development using MBTI Framework. 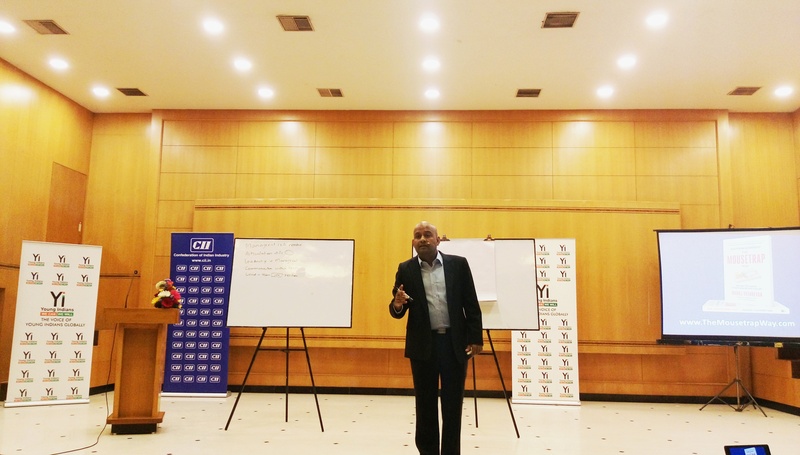 The trainer of the session was Mr RN Elangovan who runs a training academy called 3EINCPRO. 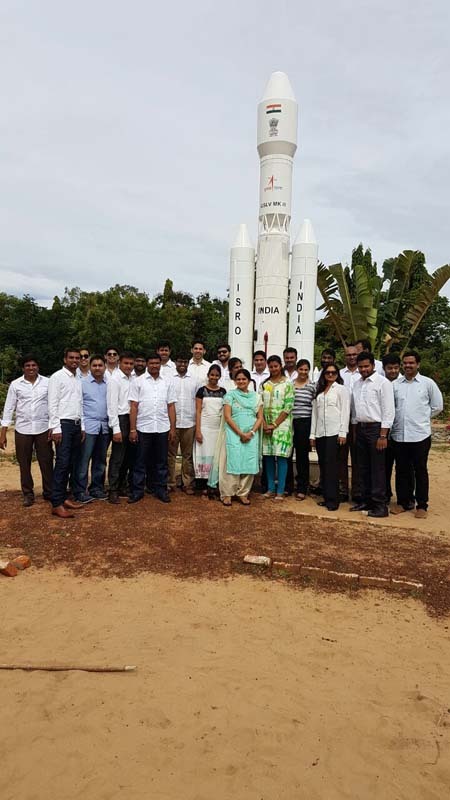 He also worked a Group Manager-Learning & Development of Titan, Corporate office, Bengaluru. He is having more than 30 years of experience in the field of Learning & Development. 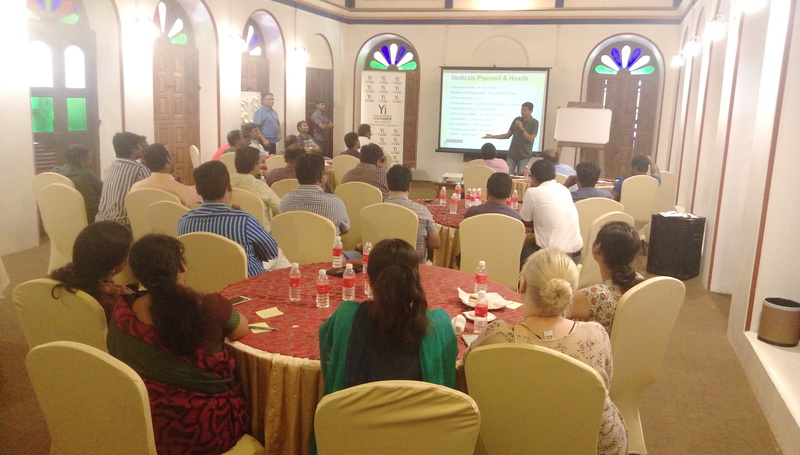 This session had a very good feedback from the participants. 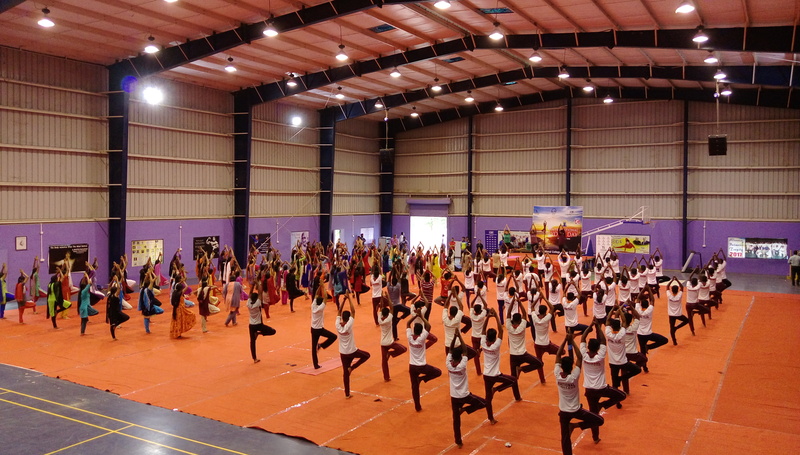 As a part of International Yoga Day celebration, Yi Trichy chapter organised a Yoga Training session for the Members, YUVA students & Faculties at National College, Trichy by 06.30 am. 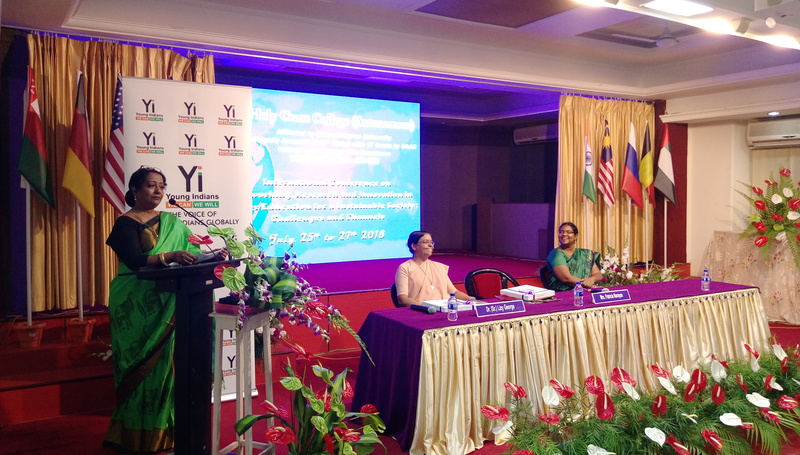 This event was organised by CII & Yi Trichy in association with National College. 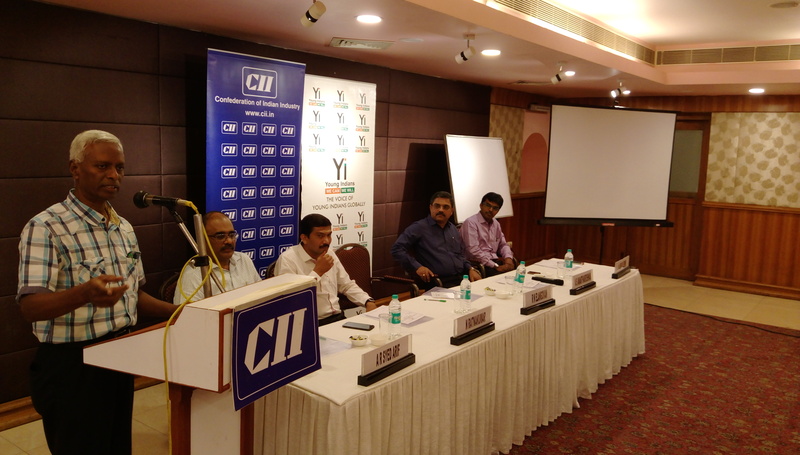 Mr NP Sukumar, Past Chairman, CII Trichy Zone, Mr Ratnakumar, Chair, Yi Trichy Chapter were present at the event. Around 300 participants took part in this session. 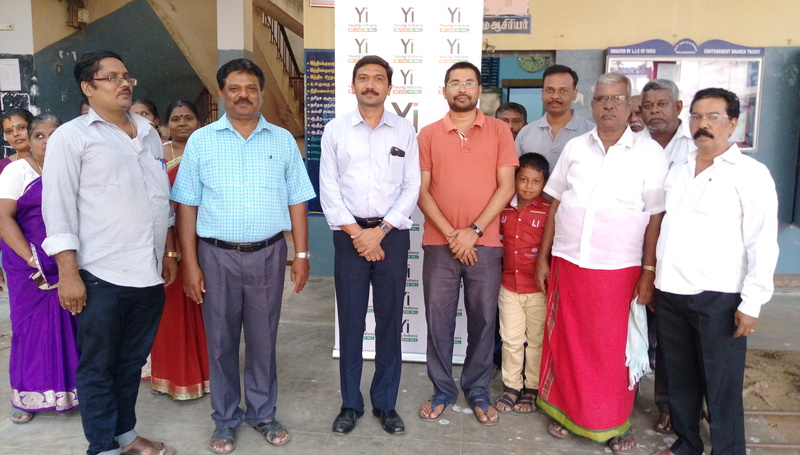 As a part of Rural Initiative, Yi Trichy Chapter funded and supported for the renovation & painting work for Adi Dravidar Government Higher Secondary School at Melaguparai, Trichy. 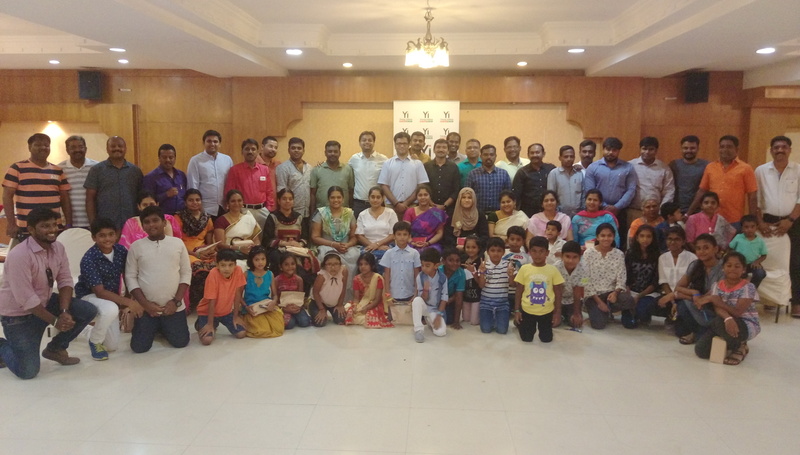 As a part of Membership Engagement and on the occasion of Yi Trichy Chapter's 05th Anniversary, Yi Trichy organised a Family get together to celebrate Yi Trichy. This event had fun games between members, kids and couples followed by a cake cutting celebration. Gifts were give to the members participated in the games. New members and few prospect members were also invited for this event to create a bonding between the existing members. Yi Trichy had prepared a list of 50 prospective members at the start of our new leadership with an objective to reach 75 members within this year.As a part of this, we had a Induction Meet on 26 April 2018 at Ramyas Hotels, where we invited the first slot of 20 prospective members. The objective of this session is to train/motivate the next level leaders from an organization to take up the responsibility in order to have mutual development. This session was represented by more than 40 companies and had a participation of 125 next level leaders. 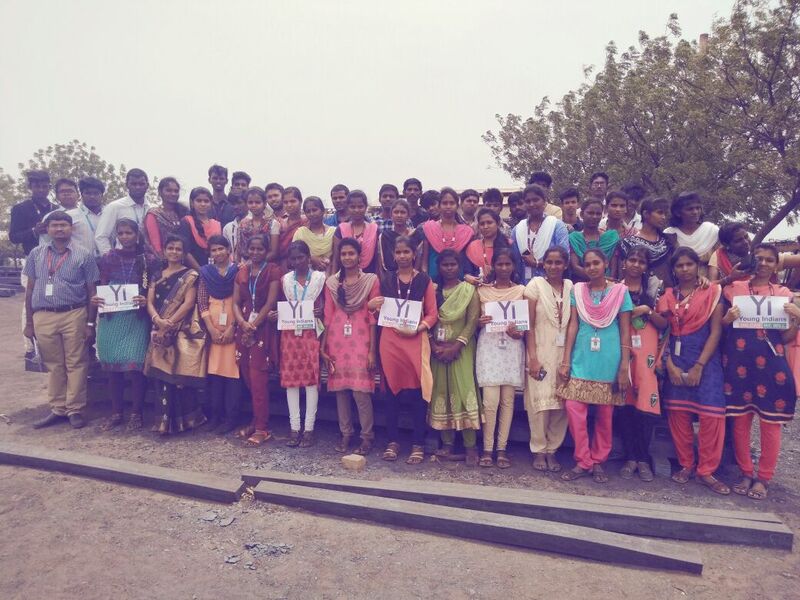 To start with the year, Yi Trichy Chapter organised a Pathfinder Session at Chidambara Vilas, an heritage resort at Kadiyapatti near Pudukottai District on 25 March 2018. This event had both the planning session and fun time between the members and their families. During the Pathfinder session members were given their inputs and suggestion for planning the year plan for each verticals.